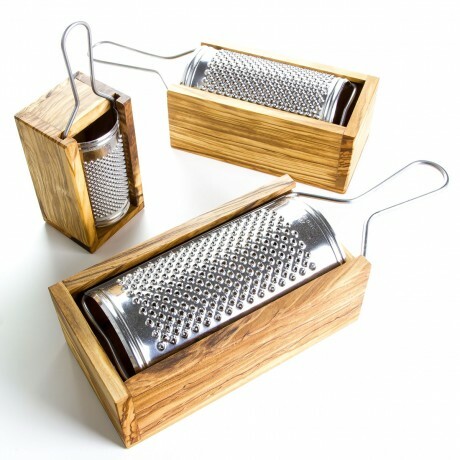 Beautifully crafted cheese grater with olive wood box. 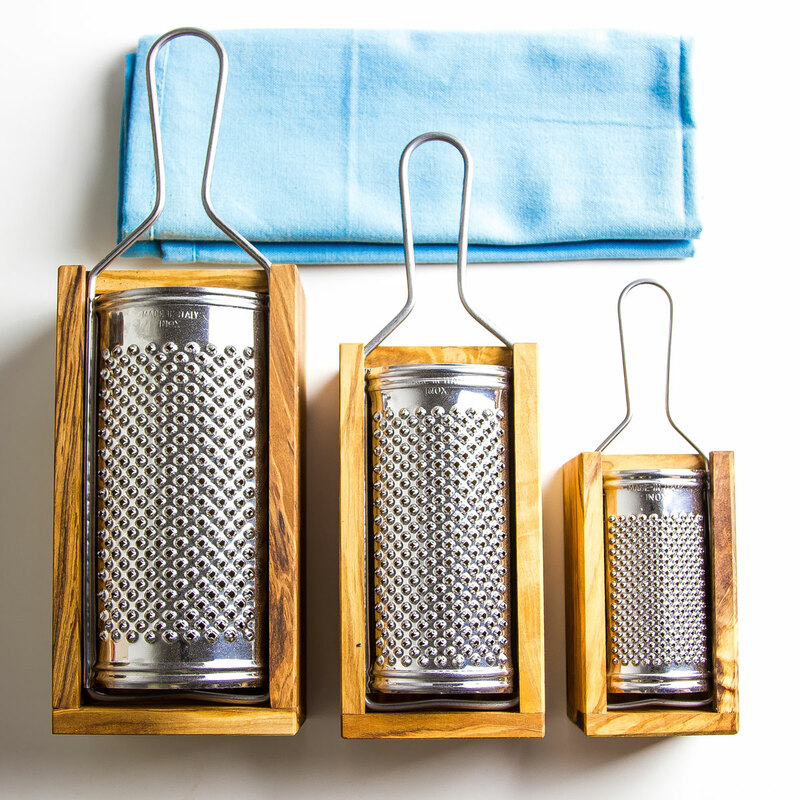 Made from Italian stainless steel and sustainably sourced Italian olive trees. Grate (sorry, pun intended) for all types of cheese or zesting any citrus fruit. All caught in the stunning olive wood box................so no mess! These olive wood boxes have been crafted by Italian artisans to a very high standard and will last for years. Italian olive wood, Italian stainless steel.